An enjoyable and breezy novella, THE TWILIGHT PARIAH showcases one of Jeffrey Ford's many strengths, in this case his almost effortlessly authentic characterization. For me, the story at the center of PARIAH takes a back seat to the delightful characters and their deep friendship. Henry, Maggie, Russell, and Luther all felt very real to me, an accurate and genuine depiction of the lasting friendships we make in our high school and college days, if we're lucky. The story itself, which involves a ghostly entity, a horned baby skeleton, and a mysterious old woman, isn't all that scary. There's tragedy and death, of course, but the stakes never feel that big for our protagonists. This may be because the threat tends to strike around them, rather than at them, which makes it difficult to cultivate a sense of imminent danger. But as I mentioned, the story is secondary to the characters for me. I enjoyed every moment I spent with these four young adults and was sad to leave them behind when I turned the final page. 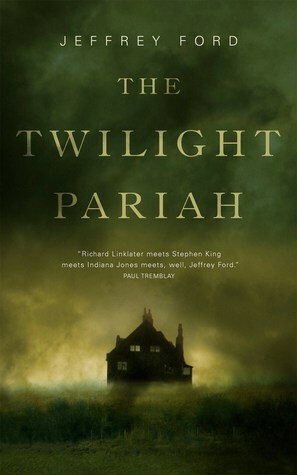 Sign into Goodreads to see if any of your friends have read The Twilight Pariah.